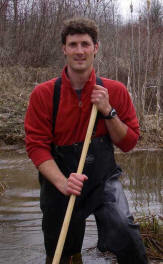 Jeremy Ayotte is a biologist with his company Phyla Biological Consulting. 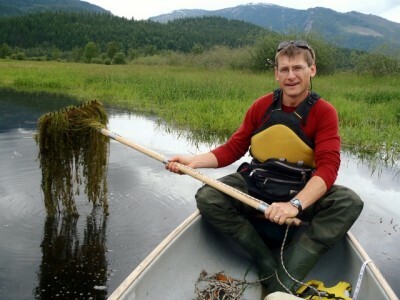 Jeremy lives in Salmon Arm where he works with a variety of species and ecological systems. He completed a Masters of Science through The University of Northern BC working on the ecological role of mineral licks for moose, elk, Stone’s sheep, and mountain goats in northern BC. Jeremy is currently an ecological reserve warden for a wetland fen complex near his home in the Larch Hills that is known for its rare assemblage of orchids. Recent work includes 3 years as the provincial coordinator for the BC Sheep Separation Program, working to mitigate the risk of respiratory disease transmission from domestic sheep to wild sheep across BC, including bighorn herds in the Columbia Basin. Jeremy’s interests also include youth outdoor education and he is a founding director of the Shuswap Outdoor Learning Foundation. Marc-André traveled to the Kootenays in 1995 from Sherbrooke, Quebec, where he grew up. He is the area manager/biologist for the Creston Valley Wildlife Management Area. His work in wetland management and involvement with the Northern Leopard Frog Recovery Team has given him good knowledge of freshwater inland wetland functions and characteristics. His work experience includes amphibian and waterfowl surveys, water quality monitoring, fauna and flora identification, management of wetland units through water level manipulations, wetland restoration, and water control infrastructure management. Marc-André earned a B.Sc. in Applied Zoology from McGill University (1996) and a M.Sc. in Environment and Management from Royal Roads University (2005). His thesis investigated the effects of seasonal water level fluctuation in Duck Lake (Creston, BC) on non-native largemouth bass in relation to dissolved oxygen. 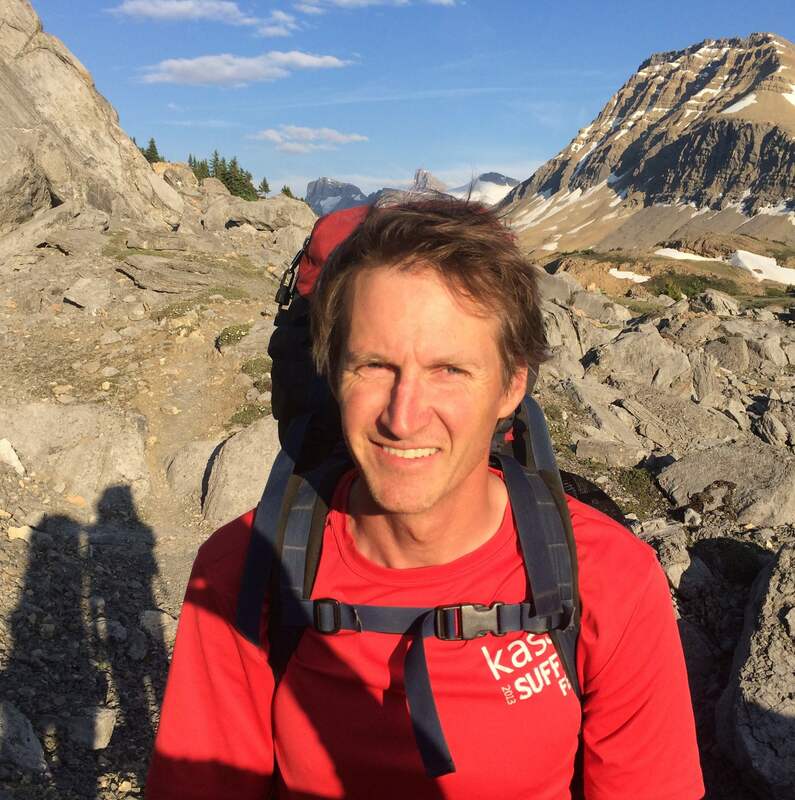 Kevin moved to Revelstoke in 1997, after completing his BSc at the University of Victoria in Biology and Environmental Studies. He became interested in forestry in the area and completed his forestry requirements to become a Registered Professional Forester with the Association of BC Forest Professionals in 2002. Kevin has worked as a forestry engineer, while doing various biology jobs for the Columbia Basin Fish and Wildlife Compensation Program, and Parks Canada. Kevin now works with the Revelstoke Community Forest Corporation, where he is the Operations Forester. Kevin is a member of the ” Revelstoke Caribou Rearing in the Wild” project. Kevin Bollefer is currently the Treasurer for the Columbia Mountains Institute of Applied Ecology. Catherine Craig is a Wildlife Biologist with Cooper Beauchesne and Associates in Revelstoke, BC, and has been studying birds for over 13 years. She completed her B.Sc. (Earth Science and Environmental Studies) at the University of Victoria and her M.Sc. (Biology) at Acadia University. Her M.Sc. research focused on the nest-site selection and nest survival of Black-backed and American Three-toed Woodpeckers in managed forest landscapes. Prior to that, she spent three years with an endangered species recovery program in California, and has also worked on many other breeding and migratory bird research projects throughout North and Central America. Ryan’s career as a field biologist began in remote Alaska where he was posted on small islands to study the decline of Steller’s sea lions in the eastern Pacific. From there he worked up and down the west coast of North America, before settling in Revelstoke in 2001. For the past nine years Ryan has been closely involved in the WLR projects in the Arrow Lakes, Kinbasket and Williston reservoirs. Ryan has spent this time primarily studying how migratory birds, waterfowl and raptors use reservoir drawdown zone environment. In addition to working with avian species, he has been involved in caribou, moose and wolf projects in Revelstoke, and throughout the province. More specifically, Ryan’s interests and experience lie in spatial analysis, and learning how the predictive power of machine learning can be applied to spatial problems. 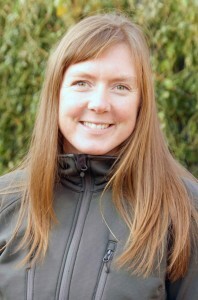 Doris moved to Nelson in 2004 where she started her consulting company, Seepanee Ecological Consulting. Prior to that she completed her B.Sc. at the University of Anchorage Alaska and a MSc. at the University of Idaho studying a population of Greater Sage-grouse in Colorado. Her work in the west Kootenays has focused primarily on species at risk. Some of her favorite projects have been a demographic study of Western Screech-owls, Western toad migration and most recently, a conservation genetics project on wolverine. 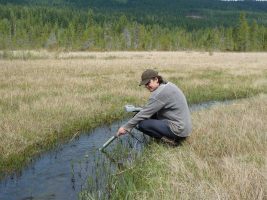 In addition to running research projects, she teaches applied biology, ecology and restoration part-time at Selkirk College in Castlegar. She enjoys the bounty of the west Kootenay gardens and playing in the back-county with friends and family. 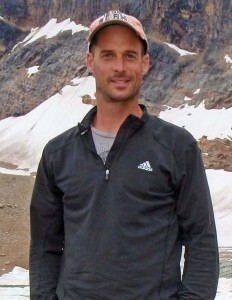 Mike Miller moved to Vernon in 2009 following several years based in Revelstoke. He completed his B.A. (English Lit) at Queen’s University in 1989. Following several blissful years spent working for Parks Canada in the summers and tromping around the jungles of Asia and Latin America during the off-season, Mike eventually settled down long enough to get his Ph.D. in plant ecology (specializing in the demography and population dynamics of Calochortus spp.) from the University of Victoria in 2004. After operating as a freelance ecological consultant for over a dozen years, Mike accepted a position as Vegetation Ecologist with the environmental research firm LGL Ltd in 2012. Mike’s primary focus has been on the conservation and management of plant species at risk. He has authored numerous COSEWIC status reports and SARA-compliant recovery strategies for plants, including the national multi-species recovery strategy for vernal pool plants at risk in Garry oak and associated ecosystems. Current projects include the COSEWIC status report update on Giant Helleborine (a threatened orchid species) and several multi-year studies for BC Hydro on the impacts of reservoir operations to vegetation within the drawdown zones of the Kinbasket and Arrow Lakes Reservoirs. Mike and his wife Simone have two toddler-aged boys who love exploring the rattlesnake-friendly grasslands outside their back door in beautiful Kalamalka Lake Provincial Park. 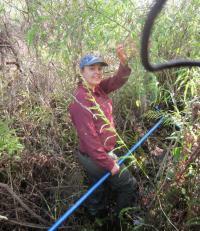 Carrie Nadeau is a vegetation ecologist, her primary technical focus is ecological restoration. For the past 13 years she has worked as an environmental consultant for Associated Environmental in Vernon, B.C. She manages multi-disciplinary teams completing environmental impact assessments, riparian and wetland restoration programs, restoration monitoring, rare and endangered species habitat restoration, vegetation ecology, reclamation planning, ecological land classification, wildlife research, wildlife and plant inventory, environmental monitoring and assessments, and fish and fish habitat inventories and assessments. She works with many stakeholder groups, industry and First Nations communities across B.C. Carrie, her husband and their two young children enjoy hiking, camping, biking and exploring the natural outdoors in the Okanagan, Shuswap and Columbia. 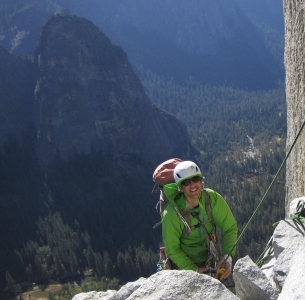 Carrie Nadeau is currently the President of the Columbia Mountains Institute. Harry lived in Revelstoke working as a wildlife biologist throughout the Columbia Mountains from 2004 through 2017. Harry became intimately familiar with the “Big Bend” country north of Revelstoke, while working on the caribou project initiated by Dr. Bruce McLellan, one of the founding members of CMI. To the south, one of his favourite projects has been attempting to mitigate reservoir impacts on loons at the Whatshan Lake Reservoir near Edgewood. Closer to home, he was immersed in other reservoir-related research regarding the habitat use and productivity of avian communities in the Kinbasket and Arrow Lakes Reservoirs for many years. Sometime in the Revelstoke years, Harry became a CMI board member and he has helped organize several of the recent conferences. He now works for BC Hydro, and is based in the lower mainland. When not working, Harry likes to spend time with his family and friends in the mountains. Originally from the Bow Valley in Alberta, Brendan continues to explore a life-long interest in subalpine and timberline forest communities in the Columbia Basin. He completed a B.Sc. in applied environmental biology at the University of Technology in Sydney, Australia. His Honours thesis investigated the effect of selective harvesting on understory plant communities in an Australian subalpine forest. Back in the Alberta Rockies, Brendan examined the regeneration dynamics of alpine larch for his doctoral work at the University of Alberta. Brendan is the Chair of the School of Environment and Geomatics at Selkirk College, in Castlegar. Brendan Wilson is currently Vice-President of the Columbia Mountains Institute of Applied Ecology. Hailey Ross became the CMI’s Executive Director in the summer of 2013. Her educational background includes a Masters Degree in Environmental Studies from Dalhousie University, an honours degree in social anthropology, and a degree in International Development. Hailey’s academic and work experience have focused mainly on human relationships with the natural environment, stemming from her interest in the integration of natural and social sciences to solve challenges in environmental management. Much of Hailey’s work has been community-based, and now she looks forward to working with the regional network of CMI members. Hailey made Revelstoke her home in 2009, eager to be back in the mountains. 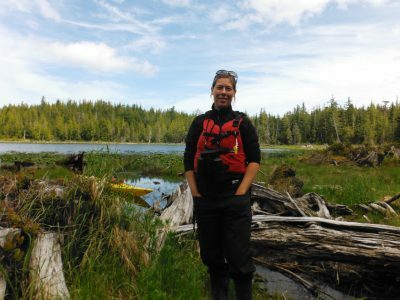 Keen to be involved in her field of environmental education and community development, Hailey has worked with numerous ENGO’s in the Revelstoke area such as the North Columbia Environmental Society. In addition to her work with CMI, Hailey continues to work in the realm of food security and recently co-wrote Revelstoke’s first Food Security Strategy. 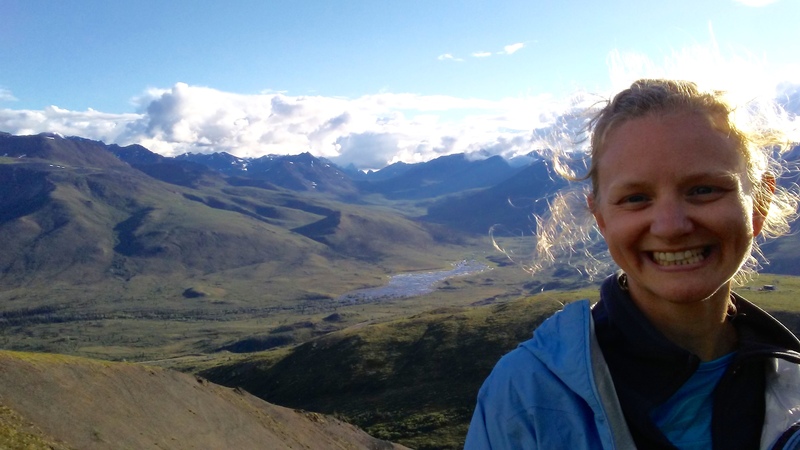 Prior to moving to Revelstoke, Hailey worked in a diversity of fields and environments such as farming in Alberta, international aid work in East Africa, social science work in Banff National Park, and leadership development in Nova Scotia. 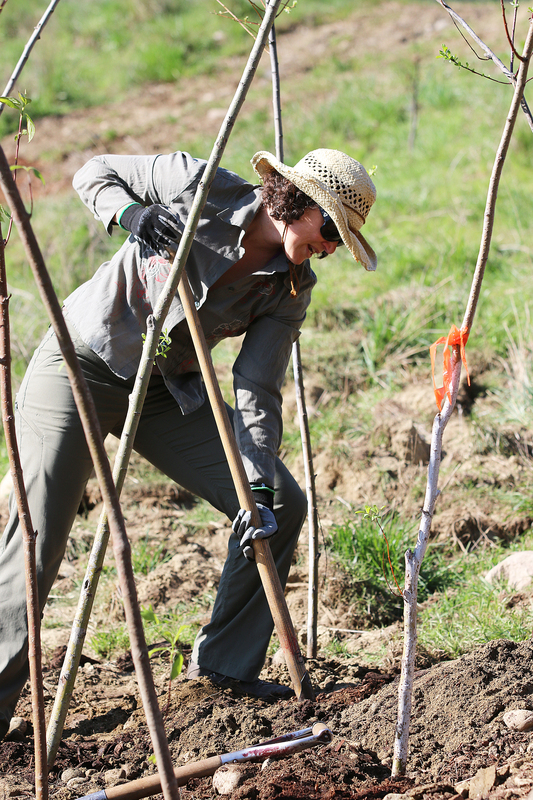 When not working, she’s likely chasing after her two kids, tending to her garden, and soaking up the beauty of our mountain environment and the diversity of recreational opportunities it offers. Mia King is a new transplant to the west, moving to Revelstoke from Ontario in the summer of 2017, after having visited and immensely enjoying the area many times before. Mia has a BSc in Biology and a diploma in Ecosystem Management. For many years, Mia has been involved in delivering environmental education, whether increasing public awareness of aquatic species at risk, or leading school kids on interpretive hikes in the great outdoors. Mia is looking forward to facilitating the sharing of local ecological knowledge while with CMI. On days off, Mia can be found exploring the mountains, hiking, biking, and precariously snowboarding down them. Mia covered Hailey’s maternity leave in 2018/19 and has stayed on with CMI as Project Manager.